The world is unraveling. We see a cultural slide into post-modern morality where little is wrong and everything celebrated. We witness a coming apart of the social order. The family has been redefined. Gender and sexuality has been redefined. What it means to be human is undergoing that process. All-powerful elites control controlling our communications and threaten our free speech. Wars are threatened on multiple fronts …..You get the picture. That’s what this series is about. European globalists allied with our own Deep State are trying to forge a New World Order out of chaos ….& they’re willing to foment that chaos themselves to achieve that end. Islamic true-believers are working toward fomenting chaos in order to bring in the return of the Mahdi. We’re all about Matthew 24 or Luke 21 or numerous other Bible passages and how they apply to today. If it feels like everything is unraveling….it sure the heck is! So that’s the intro. We’ll just catalogue some of the ride. The struggle here is filtering down through the levels of law enforcement. The county sheriff is becoming the key to the emerging struggle. Washington State has recently passed laws that completely ignore and gut the constitutional protections of the 2nd Amendment. Some Washington Sheriffs are refusing to enforce the new unconstitutional provisions. It’s a battle for the Constitution…and we need to win this one. Or we may see the Lists actually come into play. 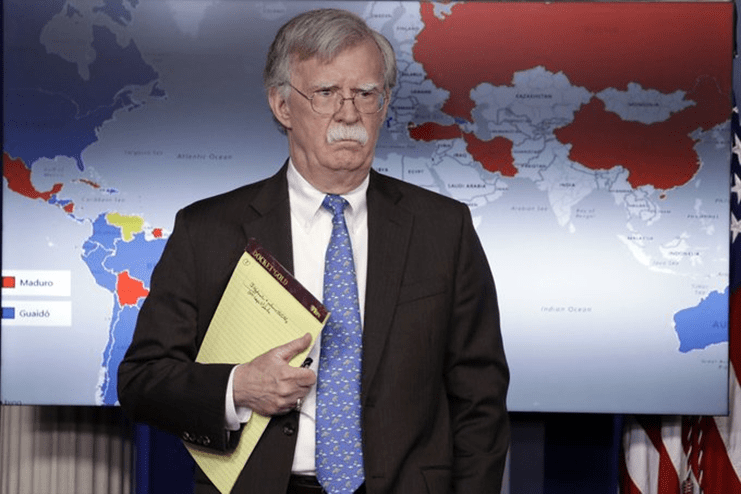 MORE HEAT IN VENEZUELA – We talked about it last week – fleets off Venezuela, rumors of invasions. Here’s some more fuel for that fire. 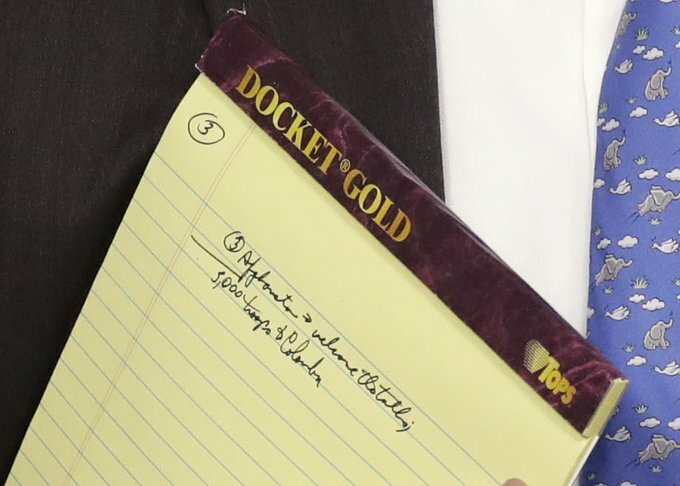 As reported by Zero Hedge and elsewhere, “During a Monday White House press briefing national security adviser John Bolton was photographed carrying a notepad — presumably as he was fresh out of a national security meeting — and one of the things which appears to be handwritten on the pad is “5,000 troops to Colombia.”[v] So it looks like our speculation may be correct – the US is at least considering a move against the Socialist tire fire that Venezuela has become. Then add this to the mix. Venezuela believes that an invasion may be imminent and so is sending troops from its 500,000 strong army to the border with Columbia. They believe that that is the route that an invading force would take.